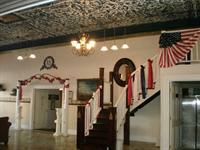 Located in the heart of Historic Downtown Yankton. The Riverfront Event Center & Hotel is the largest event facility and most unique hotel in the area. Why have ordinary when you can have extraordinary? All of the Hotel Rooms have a certain style and grace.. 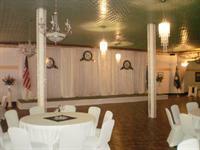 The River rose Rooms for example: The Danforth is set in an old world style reminiscent of the late 1800's. The McVay in Empire, Heaton in 1940's, Edmund is Hunting Lodge, Fantles is Victorian. All of the rooms in the Event Center are more of a Frank Lloyd Wright feel. What they all have in common is the ability to make you feel good about staying here. Try our unique foods, menu or just down home cooking. Lets not forget our great fudge located in our coffee shop! The Coffee Shop is located in the middle of the complex at ground level. Ideal for stopping buy for a latte, dessert or quick snack during an event. 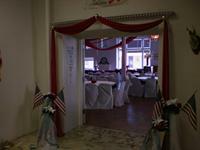 We have been holding weddings and receptions for 12 years. In 2015 we will be adding more space more hotel rooms. 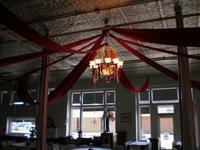 We also have a chapel on our second floor to rent out. The Brewery is an addition to the Riverfront and is nothing less than awesome. Rooftop seating, located right next to the new plaza at the foot of the walking bridge. The Dakota Special Train is our train that was hand built. A ride for young and old alike! The Cocktail Lounge is located in the north windows on the main floor It has direct access from either outside, the coffee shop next door or the main staircase that runs all 4 floors of the building.